In a salt water aquarium it is very important to have clean, healthy water. On the reefs, where the tropical salt water fish live, the water is very clean.That is the major reason why many coral reefs are disappearing, primarily the contamination of the seas with human wastes. The sea is not always the cleanest, even if it is not full of wastes, but it does have it’s own balance. Bacteria feeds on fish excrements, plankton eat the bacteria, fish feed on the plankton and larger fish eat the smaller fish. This is the cycle which we have to understand if we want to speak about filtration. Of course we can´t ignore the fact that the home salt water tank is tiny compared to the large mass of oceans and seas. The aquarium at home needs adequate filtration to reduce the toxic waste materials. The toxic materials in the sea are at low levels because of the expansive amount of water. In the tank we need to ensure the healthy balance between the good and bad elements of the water. Marine aquarium filters vary in how they function. The most common in the freshwater aquarium is the mechanical filter. The water is passed through a filtration material like foam, gravel, sand etc. This type of filtration can clean the water of fish excrements and uneaten food. There are also chemical filtration systems. These operate using materials which can absorb, or hold certain chemical substances, thereby removing them from the water. There are also biological filtration systems. These are more commonly used in salt water tanks. This system is based on bacteria which live in the tank, in the water, on the rocks and in the bottom substrate. They can also live in mechanical filters. They need lot of air so you have to ensure that the tank is adequately aerated. The �?good�? bacteria convert toxic materials into a less dangerous form, which can be utilized by plant life, enhancing growth. The last way of cleaning the water is sterilization or purification filters. This method is mainly used in salt water aquariums. When you are sterilizing the water you are killing all the bacteria in the water, both the good and the bad. This means that you must be very careful as in n small amounts even the bad bacteria are good. Low levels of bad bacteria stimulate the fishes immune system and make them more hardy and enhance their resistance to infections. As with humans, living in a sterile environment can make you ill or hypersensitive. The tank must have a careful balance. I mentioned bacteria in the water. Don´t ask me how do they come to the tank, I do not know, but they are there and it is great. The best thing for a healthy, balanced environment in your tank is health plants and algae growth.. If you can´t get salt water plants, salt water algae is a very good alternative. Both of the green plants make the water stable and healthier. Plants and algae filter the water, remove excrements, and destroy dangerous ammonia. It is because they need the biological wastes for building up their bodies. I should mention one very important thing. You may use any type of filter, but if you have too many fish in your tank, the filtration can not be efficient. Too many fish will result in more biological pollution, via waste products, than the filtration system can accommodate. Limiting the amount and size of the fish is not only good for their physical health, but also for their mental health. This is a very good filtration system for large tanks and in the marine aquarium, the external filtration is the only real alternative. You can´t use inner filters because they would be too small for the tank, or it would take up too much space in the tank. This is the reason why the filter has to be placed out of the tank. will release toxic materials into the water. should consider removing those materials for a while. and that no metal part, or other part made from materials which can be destroyed by the salt water, is in the contact with the water. When you are using undergravel filtration, you have to install a plate just under the substrate. The plate has holes in it and the water is filtered through the substrate, which should be about 9 cm in depth. This is not a very suitable way of filtration for tanks with fish that bury them selves into the substrate at night, or if they live in the gravel, because they corrupt the substrate. 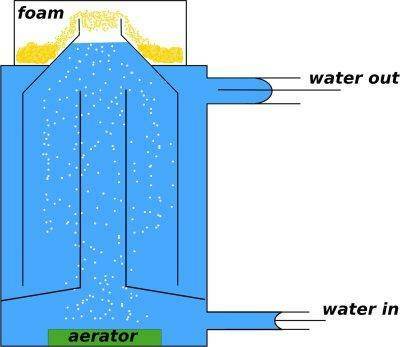 With these systems the filtration medium is the substrate and as such, the system will not function effectively. substrate, because the eggs will be sucked into the filter. This system is a very poor method and not recommended in my opinion. All excrements remain in the tank and can cause dangerous levels of ammonia. b. If you only have the tank for a short time, a healthy balance cannot be achieved. If you have it for a long time, the filtration system might not work because the substrate is full of dirt and is in fact, being recycled constantly. c.How many fish you have in the tank, The more fish you have, the more excrements will be in the water and the filter might not be effective. d. Nitrification bacteria and Plants. If you have enough bacteria and plants the level of ammonia will be lower, resulting in good health for your fish. Right above I mentioned plants. They could become a proble, because their roots can stop the water cycle. On the other hand, this type of filter is made mostly from plastic materials and will be not destroyed by the salt water. experience and knowledge of the system. the ozone and ensure that the water is ozone safe. The water is exposed to an ultraviolet light and that light sterilizes the water. If you are using ultraviolet sterilization, you have to know that you need clean water without dirt. The U-V rays are very dangerous and you should not look into it. the water looks clean, those pollutants are there as molecules and the only thing that can remove them is this protein skimmer. The water comes into the skimmer where it is aerated, the bubbles make foam on the surface, which can be easily removed. This foam can be lead away to a box where it will turn into yellow water. A protein skimmer is an extremely good thing and some sources even say that this can be the only filter in the tank. I do not think so, because it will not remove heavier parts from the water, like large excrements and pieces of food. There are three types of protein skimmers. 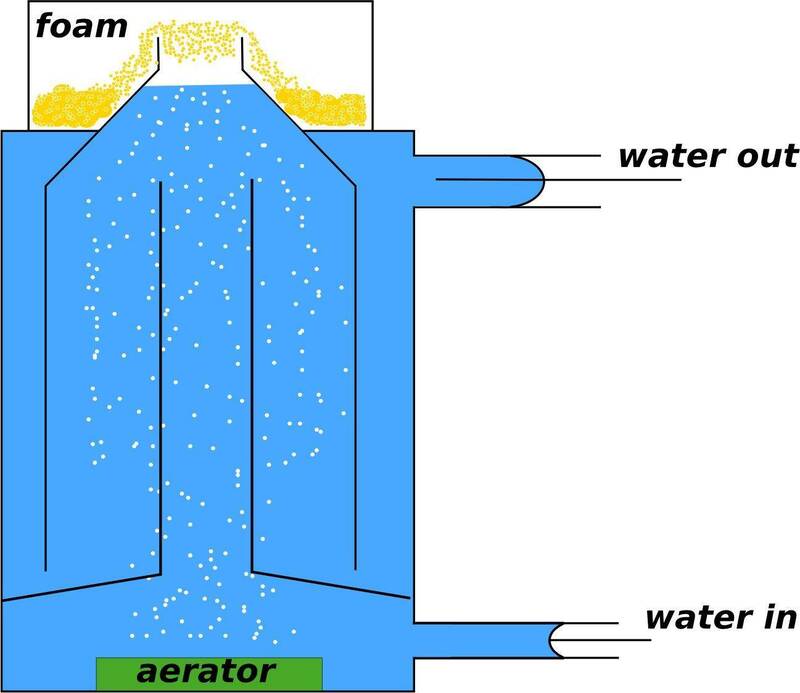 The fist is direct-current skimmer, where the water comes into the filter from the bottom of the filter, the water is aerated and comes out of the top. This type is not as effective because the water is not exposed to the air for a long period of time. 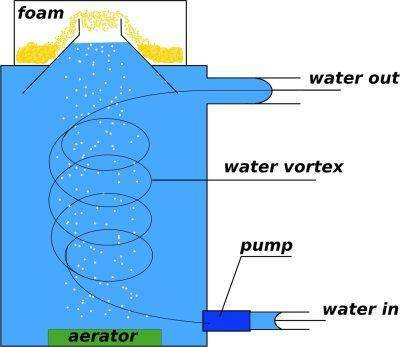 Counter-current skimmers have some kind of pipes, where the water is exposed to bubbles for a longer time and as such, more pollutants will be removed. Venturi skimmers have a pump in them and the pump spins the water. This results in more water contact with the air, an extremely good thing. "Salt water aquarium filters." saltwater.aqua-fish.net. Sun Mar 16 19:56:29 UTC 2008. Aqua-Fish.Net. Sat Apr 20 6:54:53 UTC 2019 https://saltwater.aqua-fish.net/?saltwater-aquarium-filters.